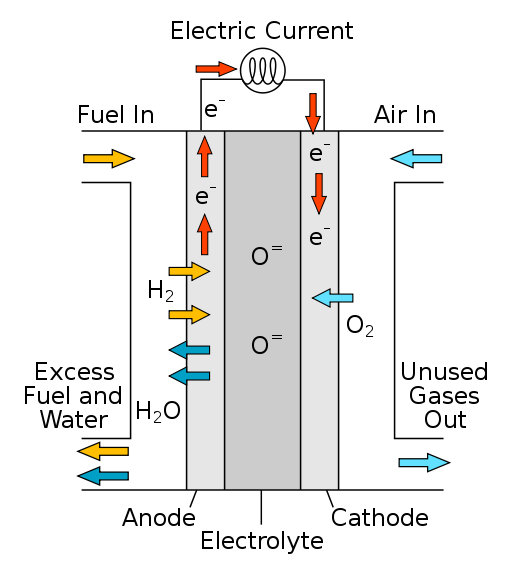 Solid Oxide Fuel Cells (SOFC) are a type of fuel cell that use a solid oxide material as the electrolyte. SOFCs use a solid oxide electrolyte to conduct negative oxygen ions from the cathode to the anode. The electrochemical oxidation of the oxygen ions with hydrogen or carbon monoxide thus occurs on the anode side. 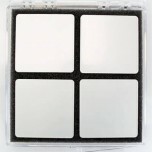 Solid Oxide Fuel Cells (SOFC) operate at very high temperatures (500 - 1,000°C). At these temperatures, SOFCs do not require costly platinum catalyst, as is currently necessary for lower-temperature fuel cells such as Proton Exchange Membrane Fuel Cells (PEMFC), and are not vulnerable to carbon monoxide catalyst poisoning. However, vulnerability to sulfur poisoning has been widely observed and the sulfur must be removed before entering the cell through the use of adsorbent beds or other means. SOFCs have a wide variety of applications from use as auxiliary power units in vehicles to stationary power generation with outputs from 100W to 2MW. Higher operating temperatures make SOFCs suitable candidates for application with heat engine energy recovery devices or combined heat and power, which increases overall fuel efficiency. With consistent performance demonstrated over several years, this button cell has become a standard ..
Anode Supported Cells (ASCs) with the Ni-YSZ/YSZ/GDC/LSCF combination is a great starting point for .. 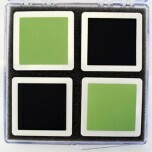 These Solid Oxide Fuel Cell (SOFC) Single Electrode Button Cells use a patent pending high strength,.. 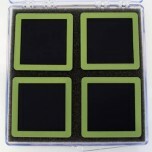 These Solid Oxide Fuel Cell (SOFC) Single Electrode Button Cells use a patent pending high streng.. 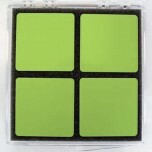 Solid Oxide Fuel Cell (SOFC) Anode Electrolyte Planar Supported Bi-layer (AEB) cells are a great sta.. Solid Oxide Fuel Cell (SOFC) Anode Supported Bi-layers (AEB) are a great starting point for resea..
Patented scandia doped zirconia-based substrate for research on intermediate to high temperature ..